When I consider the political legacy of Theresa May, the infamous lyrics of the Chumbawamba song I get knocked down comes to mind. Not only has she had to defend her position as Prime Minister countless times over the last two years, but she has remained vigilant in completing a job, lest we forget, nobody else wanted to do! However, that is not to say we should sing odes about our Prime Ministers perseverance. Indeed, her legacy will be clouded by the outcomes of Brexit and how poorly she has managed to lead the country with conviction. Her usual rhetoric of a strong and stable Britain has resulted in a complete distortion of reality. Certainly, the prospect of more votes of no confidence, put forth by various senior members of the Labour party, will further waste time and energy which can be more constructively spent on working towards securing a better future for the country. This is not the time for Jeremy Corbyn to elicit a political strategy to become Prime Minister; this is a time we need political parties to stand together. This is a time where we need government unity to secure the best possible future for the country. It is clear that no one understood the implications of Brexit during the 2016 vote. From the man who started it all, David Cameron reports: I don’t regret having the referendum, but I do regret the difficulties we’ve had implementing it. Under a no deal scenario, the UK would leave EU structures such as the single market and customs union and would become reliant on World Trade Organisation rules, which require tariffs on many imports and exports. 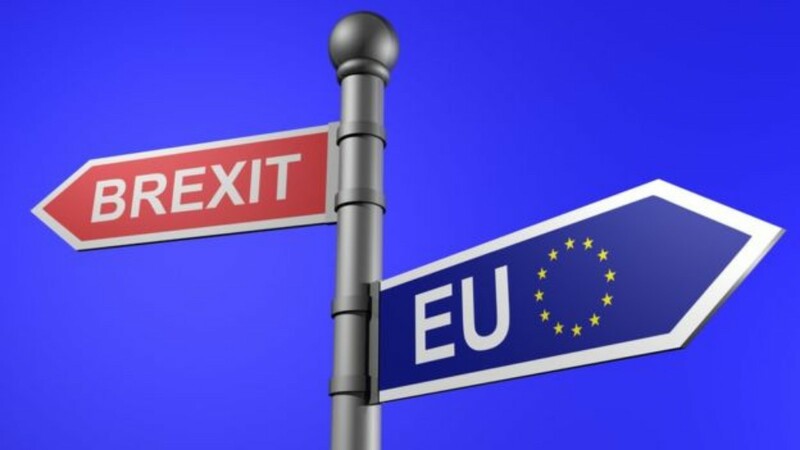 This option does allow the UK to have the autonomy to determine its trading deals, but the issue of it being a viable option is deterred because of timing. Indeed, experts and businesses have warned that an abrupt withdrawal could cause chaos, with speculation over gridlock at the Channel ports, empty supermarket shelves, a collapse in the value of the pound and even airplanes being stopped from flying. Following from this, a Treasury report predicted that the pharmaceutical and automotive industries would be the worst hit, losing more than 20% of the growth they would have had in that time. In laymen terms, this would mean that, from the stroke of 11 pm on the 29 March, unless the government forms an agreement to continue trading with the EU under special arrangements, World Trade Organisation (WTO) rules covering imports and exports would kick in. Given how long it took to negotiate the Withdrawal agreement, one must question why anyone would believe we could strike a new trade deal in less than three months? The approximation of tariffs on goods crossing EU borders are said to be as high as 38% – so with a no deal scenario becoming more probable, you might want to reconsider that glass of wine you have before dinner every night! Moreover, reports from no.10, suggest that up to 40 members of the government have put plans in motion to resign next week, if Conservative MP’s are banned from voting for a plan to stop a no-deal Brexit. Alongside this, George Osborne’s analogy of a no deal being likened to a game of Russian Roulette does not bode well for the UK. A lot of rhetoric is available which points towards a grim future for the country. Fear is a powerful tool in politics: statistics and expert knowledge is nothing in comparison to how much fear can drive a man. The question is which form of rhetoric do you fear most: leave or remain? One must remember that within a democracy, it is crucial we respect the will of the people. The 2016 referendum campaign is shrouded with controversy, but this does not detract from the fact that 52% of people wanted to leave the EU. By implementing a second referendum, we undermine the public principle of respect and equality. Politics by its very nature is coercive, but by entering a second referendum, we perpetuate a cycle where one’s vote begins to mean very little. Democracy means nothing if it isn’t universally followed through. The future for the UK is precarious, and statistics and fear mongering will continue to spread this image of uncertainty. However, the truth lies in the fact that we voted to leave the EU on March 29th, and this is a proposal we must adhere to. Certainly, for many people the argument of whether we should overrule the results of the first referendum are justified with the cost implication of leaving. According to government reports, if Britain leaves the EU without a deal, then the economy could shrink by 9.3% over 15 years. Moreover, since the triggering of Article 50, reports from think tanks have suggested that the UK economy is already 2.5% smaller than had we voted to remain. With almost £26bn a year being devoted away from public finances, the amount spent on Brexit would equate to roughly £500m a week. Having spent this enormous amount of time, resources and money, some may argue that it would be best to cut our losses and scrap Brexit altogether. However, before we can arrive at this conclusion, we need to discuss the costs of remaining in the EU. Even if we have a second referendum, we cannot pretend the last two years of politics did not happen. We may remain in the EU, but it will not be the same as before triggering Article 50. In late 2018, it was made clear by the EU budget chief, Guenther Oettinger, that Britain would lose its rebate if it should choose to remain in the EU. Following Britain’s membership with the EU, the UK had a rebate of 66% of the difference between what it contributes to the budget and receipts from EU spending. 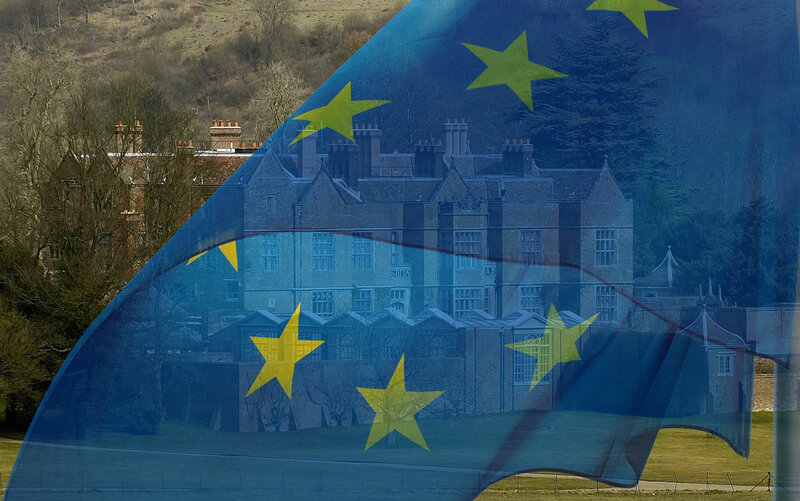 In addition, the UK’s ability for opt-out negotiations are put under strain, decisions concerning migration and asylum are being discussed on an EU level rather than on an individual member states basis and claims from Merkel and Macron for an EU army, one must wonder what the point of fighting for autonomy was? Indeed, remaining within the Single Market and Customs Union will benefit large employers but smaller businesses who don’t export may still struggle under EU regulations. Reports by Open Europe suggested that the most expensive 100 regulations add over a cost of £33bn to Britain’s economy. An example of EU regulation barriers can be illustrated through the fishing industry. While Theresa May’s political declaration had many flaws – the lack of specific details being one– it did encourage more time to face a gradual Brexit. Indeed, the government won some backing from the Scottish Fishermen’s Federation, with chief executive Bertie Armstrong stating that the declaration gave the UK the power to assert its position as an independent coastal state with practical sovereignty over our waters and natural resources. Of course, with Mrs. May’s deal being rejected by parliament, this is no longer a viable option. But, autonomy over our waters was a prominent issue and a contributor to why we voted to leave. It is, therefore, essential we not only consider, but sympathise, with the frustrations of individuals who face the brunt of these regulations. Society is a cooperative venture, and only by listening to those who are worse off, can we ensure that inequalities do not lead to injustice. It is not just economic cost, but the social and political cost of remaining that we need to also consider. Demagoguery towards EU migrants and fear of resources dominate the list of reasons people voted to leave. 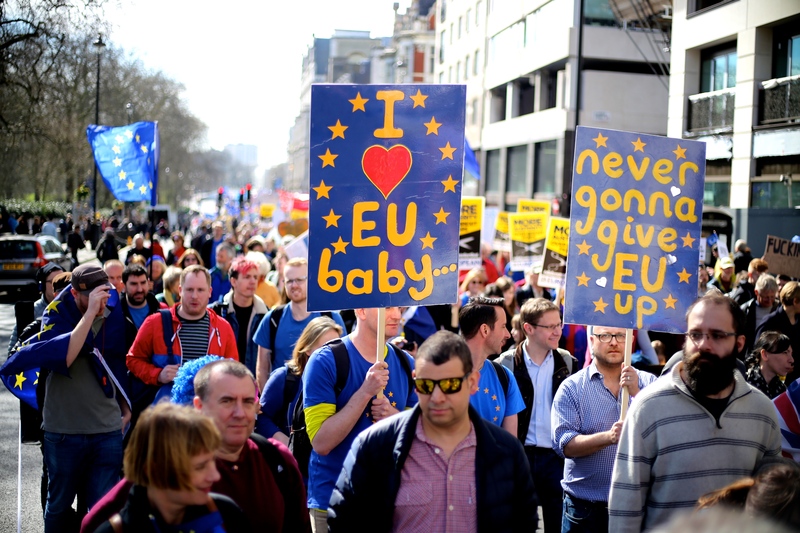 A survey conducted by the National Centre for Social Research interviewed 3000 British people and found that nearly three-quarters of those who worried about immigration voted to leave. There is a stigma attached to EU migrants, where many claim these migrants are entering the UK to live off our benefits system. In a time of economic uncertainty, these claims are founded on the fact that the NHS is struggling and services in the UK are crippled under austerity measures. This does not justify the intolerance that these stereotypes hold. Indeed, it is vital that we learn from the results of the 2016 referendum. We cannot forget the results nor can we return to the status quo before 2016. There were inherent reasons people voted to leave, and these must be addressed regardless of if we choose to scarp Brexit or not. Recently, Assistant Commissioner Neil Basu reported that 4 right wing terrorist attacks were thwarted in 2017. He continued stating: We saw a spike in hate crime after the referendum, that’s never really receded…So there’s always a possibility people are being radicalised by the kind of febrile atmosphere we’ve got at the moment.